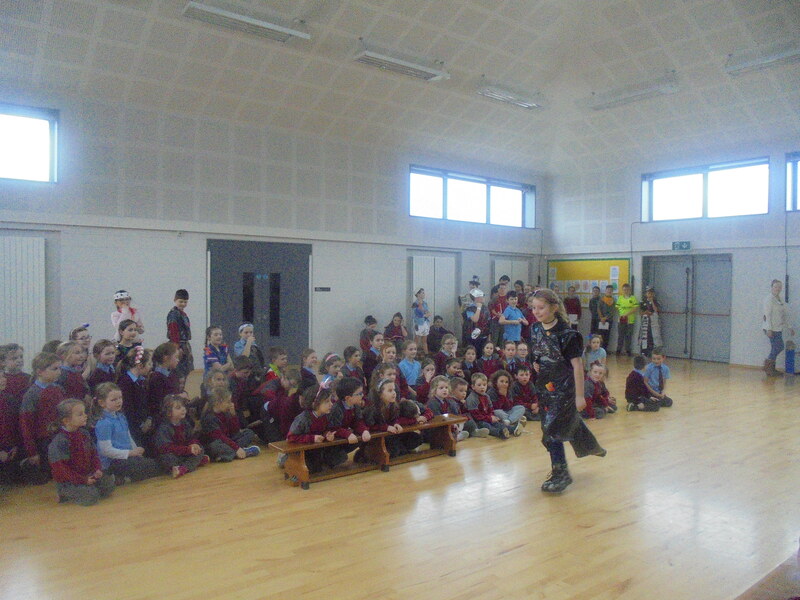 All pupils are working hard on the seven steps of the litter and waste section of the Green Schools Programme. We are reducing, reusing and recycling our waste in our classroom bins. 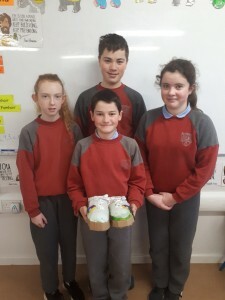 Sixth class are collecting and monitoring our waste everyday. 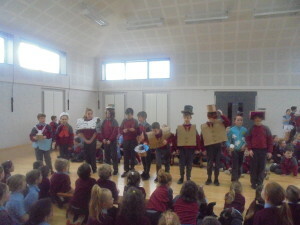 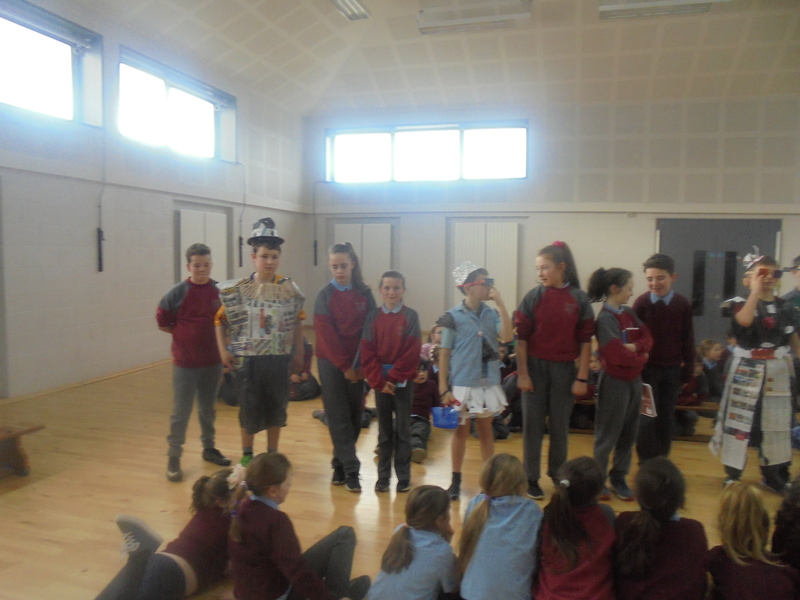 Third, fourth and fifth classes are helping to reduce and monitor our litter with a Litter Squad collecting litter daily. We had a litter and waste Day of Action in our school and all children took part in Reduce, Reuse, Recycle lessons in their classrooms. 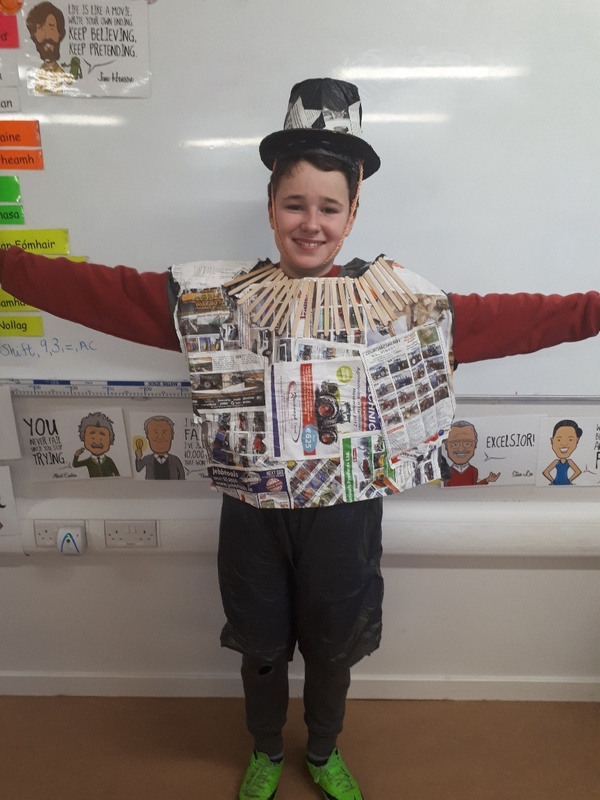 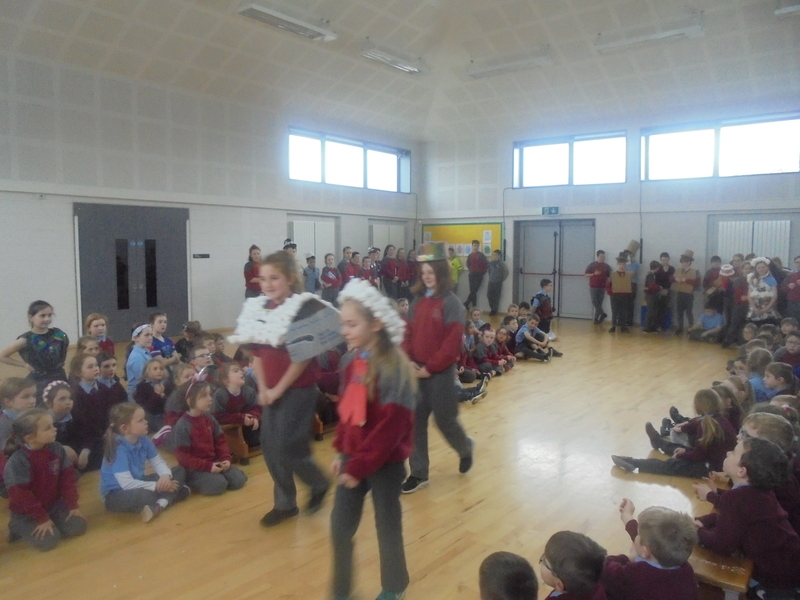 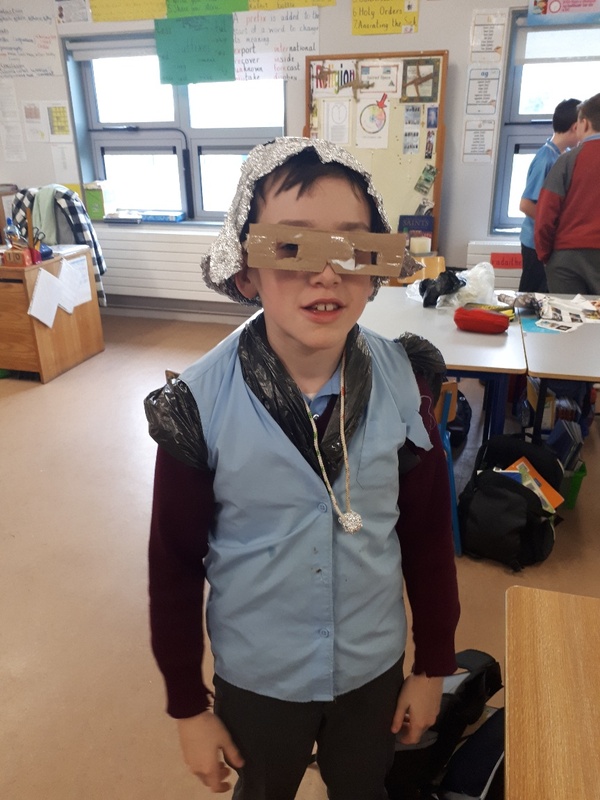 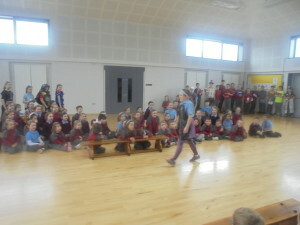 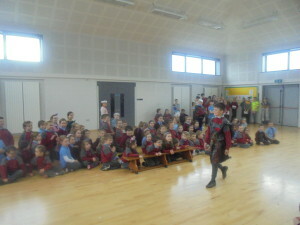 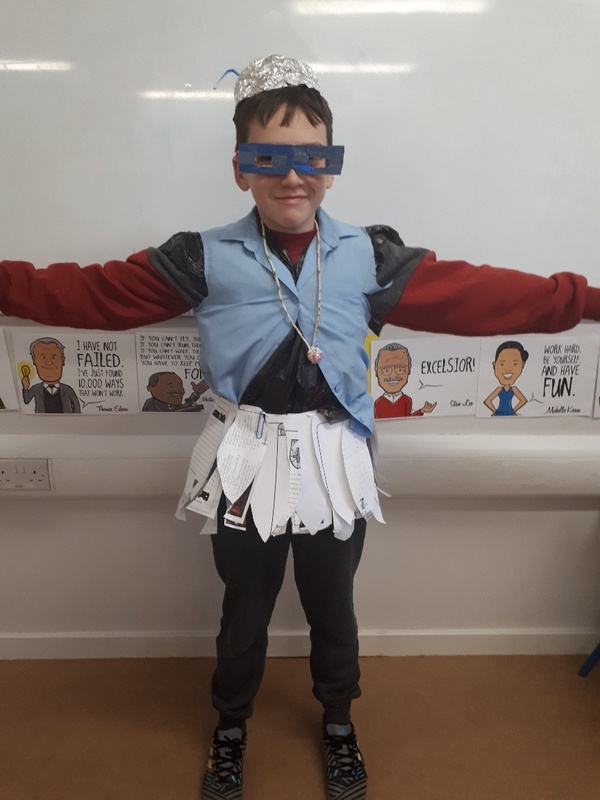 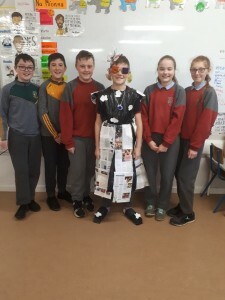 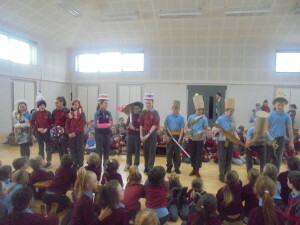 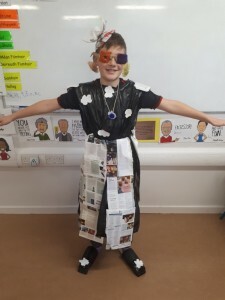 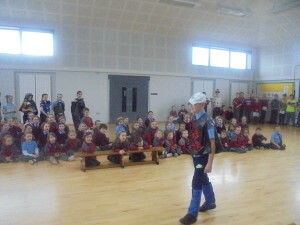 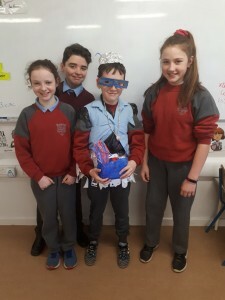 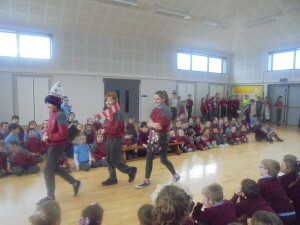 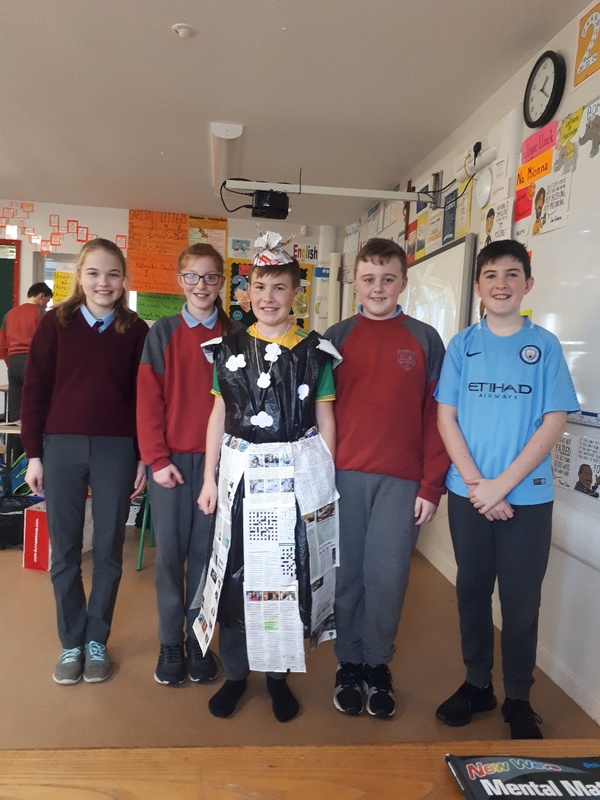 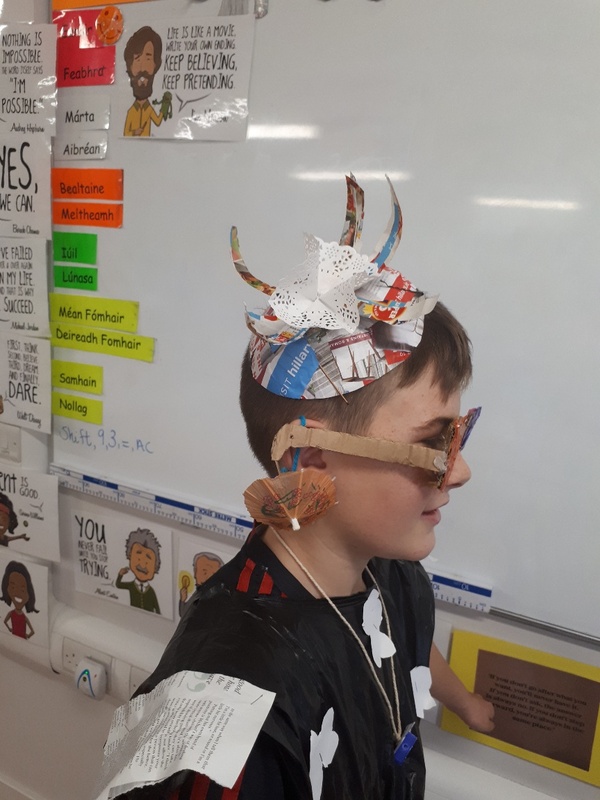 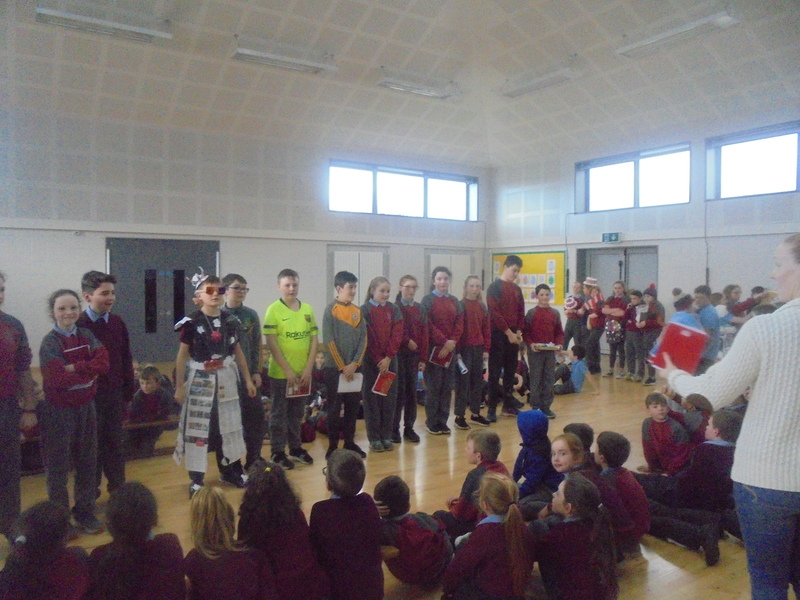 Junior Infants to 2nd class took part in a colouring competition and 3rd to 6th class took part in a Fashion Show where they designed and created clothes using waste materials.